As experts in business software, with a team of Warehousing specialists, Dynamics Consultants provides a wide range of fully integrated solutions for managing your warehouse. Based on Microsoft Dynamics NAV, a fully integrated ERP solution, we utilise the inventory and warehousing modules to bring you a powerful and flexible warehousing solution fully integrated with financials. Easily keep track of your stock items using the comprehensive Inventory Management tools in Dynamics NAV with setup to specify unit of measures, costing method, inventory posting group, unit cost and price, and a whole range of other features. Integrated with the General Ledger G/L and with the posting processes, the inventory management module permits for a high level of automation, allowing you to focus your time on managing the warehouse. Items can be configured to allow you to manage and track stock based on serial number and/or lot numbers. Assigning serial and lot numbers can be manual or automatic. Expiry dates can be assigned at serial and/or lot level if required. It is possible to track items inbound, outbound or throughout their complete lifecycle within your organisation; examples of this are in the pharmaceutical industry where full traceability is usually required. For other industries, only outbound tracking of serial/lot number is required. NAV can manage this at the item level. Cycle Counting is a basic method of verifying inventory record data used to maintain and improve inventory accuracy. The Cycle counting can be set up on either an item or SKU level. Reduce excess inventory, minimise stock-outs and produce orders using the integrated NetStock solution or the new integration with Microsoft’s Cortana Intelligence. Using a sophisticated forecast engine, every item gets a forecast based on historical data and forecast budgets. Allowing you to adjust the forecasts based on market conditions, you can make changes on a global level or to individual items. Setting stocking policies will help to balance service level for customers and make savings on working capital. Make the process of requisition management easy with a wide range of tools to help automation and provision of useful data. Managing deliveries, dispatch and shipping can be a time consuming process due to the manual nature of the tasks involved. There are many opportunities throughout the shipping process for a wide range of operational and human errors to occur. We can integrate your Dynamics NAV ERP system with your courier to eliminate these errors, as well as saving time and reducing the cost of the shipping process. Our expert team of developers connect Dynamics NAV with the courier’s Application Programming Interface (API). This means that parcel numbers, labels and documents are all automatically produced against shipments, where possible. The system will also calculate the cost of delivery based on the weight of the order and update the appropriate records. Depending on the courier, we can also add an interface to include information such as the number of packages, proof of delivery requirement and special delivery instructions. Automatic scanning and archiving of documents, such as orders and invoices, allows improved efficiency and accuracy of handling documents. Electronic document storage also reduces - and in some cases, removes - the requirement for document storage facilities. This not only increases space and reduces the cost associated with storing the documents, but also helps with reducing the carbon footprint, reducing the cost of maintaining ISO 14000 for Environmental Management. Our range of solutions allow batch scanning of documents against multiple records, massively reducing the time required to manage warehouse paperwork. Using a fully integrated system with a full range of reporting features allows you to gain insight into your business performance. Coupled with a more efficient and automated set of tasks, you will be able to transfer your workload from trying to keep up with the paperwork to streamlining the business. Set up and use analysis views to analyse General Ledger transactions per dimension and combine dimensions as you want using customizable analytic views. At a click of a button, Dynamics NAV has hundreds of standard reports covering typical business requirements; these reports include Intrastat for reporting EC Sales. Within the data, it is easy to turn the figures into a chart using the various fields and dimensions to give you meaningful analysis. If you would prefer you can export the data directly to Microsoft Excel. 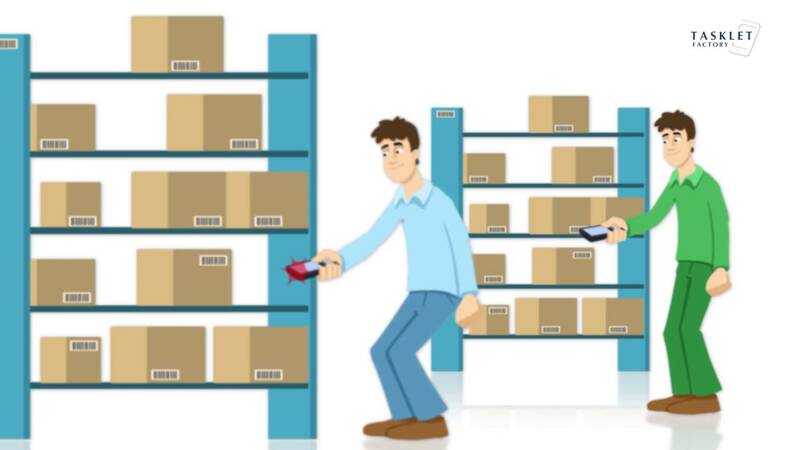 With a fully integrated ERP system with WMS, quantity and cost records of the posted transactions are stored in the inventory ledger, which is the basis for inventory valuation and other costing calculations. This integration reduces the work required for reporting and improves visibility. A fully integrated system allows the company to make business decisions based on every area of the company. With seasonal data, customer management with expected orders and market data, there is a lot of information available to make those decisions. With Cortana Intelligence you can use machine learning and Power BI reporting to indicate future requirements of stock. e-Commerce is a vital way of selling to both businesses and consumers in the modern marketplace. We provide both off the shelf and bespoke solutions; using the nopCommerce platform you can have a professional web shop quickly and affordably. If you have existing e-Commerce platforms, such as Magento, our specialist teamof web developers will work with you to integrate your platforms. Host on premise or in the cloud. We offer Azure, Microsoft’s secure cloud Hosting solution that allows your data to be securely accessed anywhere in the world. Leading the way with global data security, this solution provides both peace of mind and the flexibility to grow. If you would like to find out more about how Dynamics Consultants can help with tailoring a warehousing solution, please contact us and speak to one of our qualified and experience team.